Dr. Raymond Liu, our Chairman & CEO, founded the holding company Ingrid Millet with the mission to develop Ingrid Millet into the global medical aesthetic brand. With this in mind, he led our company to build an international network in Asia and Europe. Dr. Liu served on numerous Government Boards and Boards of non-profit organizations including the Hong Kong Arts Development Council, The Council of the Hong Kong Academy for Performing Arts, The Jockey Club Music and Dance Fund Board of Trustees and served as Chairman of the Executive Committee of the Hong Kong Ballet. A firm believer in the power of education, he established the non-profit Bioscreen Foundation for Environmental Education in 2004. The Foundation supports environmental awareness through education programmes. In line with this philosophy, Dr. Liu endows Bioscreen Fellowships in recognition of excellence in scientific research, education and innovation. In January 2011, Dr. Liu also established Ingrid Millet Foundation, a non-profit organisation to improve the quality of life of the underprivileged. 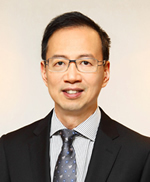 Born in Hong Kong, Dr. Liu holds a Bachelor’s and Master’s degree in Natural Sciences and Law from Cambridge University and an MBA degree with Distinction from INSEAD, France. A qualified Barrister-at-Law in England and Hong Kong, he is also the recipient of an honorary doctorate LLD from Lincoln University and the co-author of the book "Live Younger Longer".